Cosmetic dentistry is generally defined as any dental procedure that improves the overall appearance of your mouth, meaning many different procedures fall into the category of cosmetic dentistry. Some of the dental procedures that fall into the category would include, dental crowns, dental bridgework, dental, porcelain veneers, teeth whitening, and treatments like the application of InvisalignⓇ braces. If you have found yourself scouring the web for dental solutions, you have probably searched “cosmetic dentistry Vancouver” once or twice while trying to find the right dentist to contact. Look no further, because we can take care of all your cosmetic dentistry needs here at Hazel Dell Dental Care. 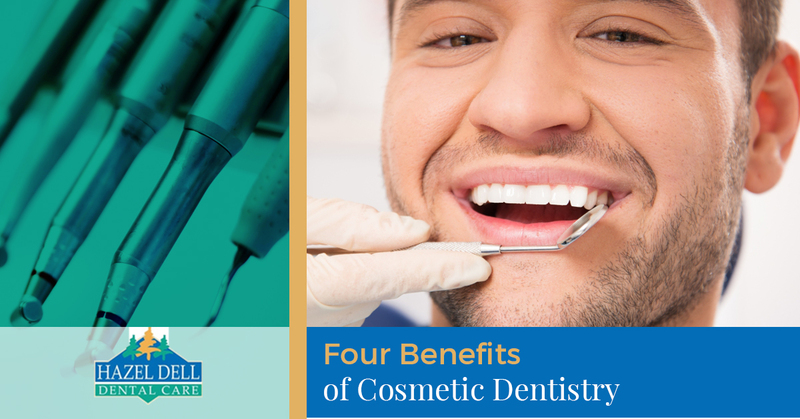 In today’s blog post, we are going to look beyond the obvious health benefits of an improved smile and talk about a couple lesser appreciated benefits of cosmetic dentistry. So picture this, you just walked out of Hazel Dell Dental Care, you sit down in the front seat of your car and prepare to head home after your cosmetic dental procedure. As you adjust your rearview mirror, something catches your eye. You quickly realize that the gleam of light that caught your attention was the shimmer of your perfect new porcelain veneers. 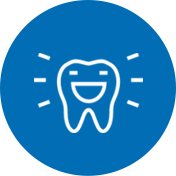 This is the feeling that we want, and you should expect to have when you come to Hazel Dell Dental Care. After a cosmetic dental procedure, you will love your smile and regain all the confidence that you forgot that you had. One of the most overlooked benefits of receiving cosmetic dental care is that once your smile is looking great again, you are more likely to take care of it. In fact, once some people receive dental veneers, they look for other ways to protect their new smile by changing their diet or quitting the use of tobacco products. So come visit us at Hazel Dental Care, and we will help you find a smile that you’re proud of. Do you have headaches frequently and your doctor just hasn’t the slightest idea why? Stop the habit of popping headache medication and head on down to Hazel Dell Dental Care. While we can’t promise that we can get rid of that pesky headache of yours, we will surely be able to tell if it’s because of your teeth. Headaches can often be caused by misaligned teeth or an improper bite. If your teeth are the culprit we can treat you and have you feeling better, and looking better, in no time. For crooked teeth, one of the best solutions in modern cosmetic dentistry is the InvisalignⓇ orthodontic teeth straightener. With InvisalignⓇ, you will see all of the results that traditional wire braces have without any of the invasive wires or brackets. Improper bites can develop headaches from temporal mandibular joint (TMJ) stress. Luckily, at Hazel Dell Dental Care we can help you kick both the TMJ stress and the headaches without TMJ treatment. Come visit us today to finally kick the headaches to the curb. In the scenario that we discussed earlier, you know, getting lost in the reflection of your teeth, you were obviously only thinking about your dazzling new porcelain veneers instead of the periodontal disease risk that you just lowered. While we can’t blame you, it is important to understand that cosmetic dentistry can affect the overall periodontal health of your mouth. Treatments like dental bonding, dental crowns, and porcelain veneers can cover up and conceal previously damaged parts of your teeth. Chipped teeth and cracked teeth are more susceptible to damage because the tooth is exposed without the protective powers of the outermost enamel. By utilizing a crown or a bond, one can cover up the damaged area, thus protecting the integrity and health of your teeth. Contact us today at Hazel Dell Dental Care today and set up an appointment with us. While yes, sometimes cosmetic dentistry applications can be beneficial to the health of your mouth, the true point of cosmetic dentistry is to alter and increase the aesthetics of your mouth. Blemishes, yellowing, cracks, chips and whatever other aesthetically negative feature in your mouth is no match for cosmetic dentistry. If you have yellowing teeth, they can be whitened. 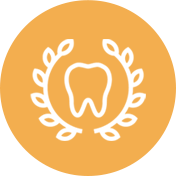 If you have blemishes, chips or cracks in your teeth, a dental crown or a set of porcelain veneers can cover it. 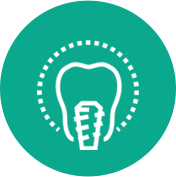 If your teeth are misaligned, InvisalignⓇ can straighten them. Our point is that there is likely a cosmetic dentistry solution for practically every unsightly issue that your teeth may experience, and you can find those solutions here at Hazel Dell Dental Care. We want you to regain the confidence to smile that you may have lost. Let us help you learn to love your smile again with a cosmetic dental procedure. At our sedation dentistry office, we can effectively solve any of your dental problems, presenting you with dental solutions. Please don’t hesitate to contact us if you have any questions for our Vancouver dental specialists. We look forward to helping you regain you happier, healthier smile.